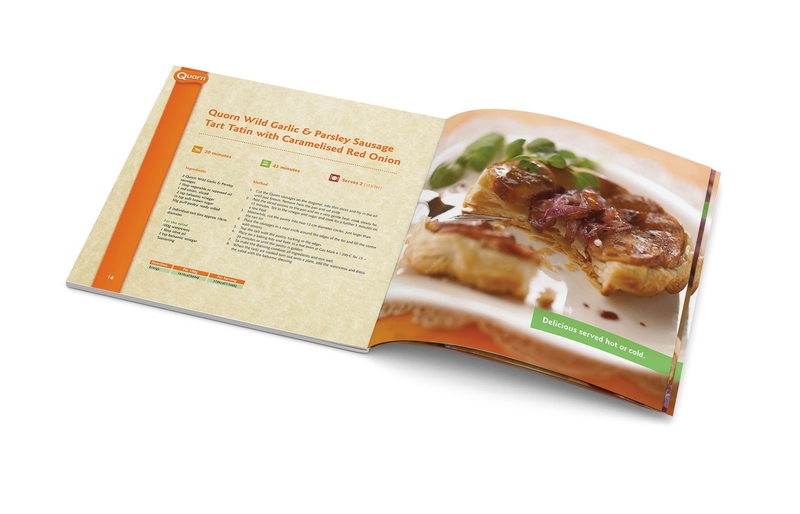 A mouth watering graphic design project for all us foodies here at Pure! 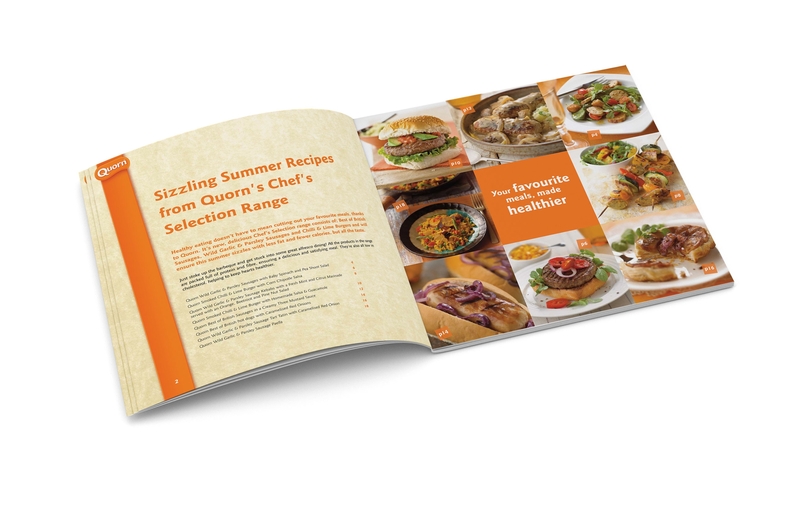 We designed and produced a cookbook for Quorn to promote a new season of summer recipes. As you can see just looking at it makes you hungry and long for the barbecue season! 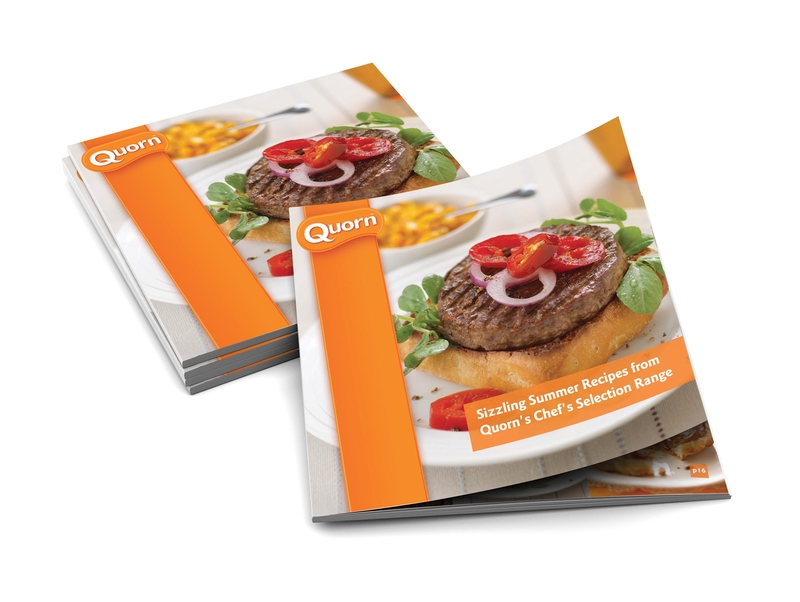 Often overlooked for alfresco dining and barbecues, Quorn was keen to bring its products to the table for the summer season, as its range offers healthier options to heavier, more traditional barbecue food. The free 20 page brochure was distributed in store at POS to encourage sales of the vegetarian option and to open it up to a wider market. Delicious looking burgers, sausages and kebabs all featured in the mini cookbook and were mouthwateringly presented.